In lowlands climate-specific processes due to weathering and erosion are dominant, whilst the geomorphology of mountains is dependent on the geologic-tectonic structure, i.e., the energy of erosion that increases according to the vertical. The expression “extremely high mountains” has been established as the extreme of a continuous mountain classification. It has to be understood in terms of geomorphology, glaciology and vegetation. Correspondence of the planetary and hypsometric change of forms is of great value as synthetic explanation. It is confirmed with regard to vegetation, periglacial geomorphology and glaciology. Due to the world-wide reconstruction of the snowline its paleoclimatic importance increases, too. 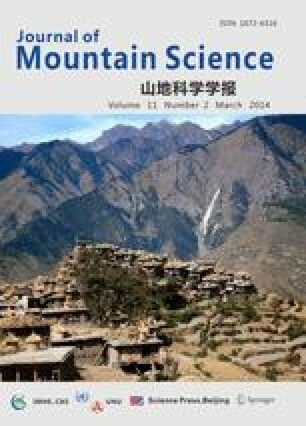 Apart from lower limits the periglacial and glacial altitudinal levels also show zones of optimum development and climatic upper limits in the highest mountains of the earth. According to the proportion of the altitudinal levels a classification as to arid, temperature and humid high mountains has been carried out.